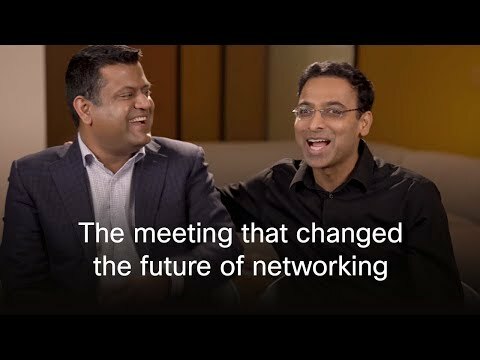 Cisco, the worldwide leader in networking that transforms how people connect, communicate and collaborate, today reported its second quarter results for the period ended January 26, 2013. Cisco reported second quarter net sales of $12.1 billion, net income on a generally accepted accounting principles (GAAP) basis of $3.1 billion or $0.59 per share, and non-GAAP net income of $2.7 billion or $0.51 per share. GAAP net income and GAAP earnings per share for the second quarter of fiscal 2013 included total tax benefits of approximately $926 million or $0.17 per share, related to a tax settlement with the Internal Revenue Service and related to the reinstatement of the U.S. federal research and development (R&D) tax credit on January 2, 2013. Non-GAAP net income and non-GAAP earnings per share for the second quarter of fiscal 2013 included a tax benefit of approximately $60 million or $0.01 per share as a result of the reinstatement of the U.S. federal R&D tax credit on January 2, 2013. "In terms of the future, we are making solid progress towards our goal of becoming the #1 IT company in the world. As new markets grow and are created, such as the Internet of Everything, it's very easy to see how the intelligent network is at the center of that future. Our customers already understand that Cisco has the architectures, solutions and services to best help them deliver the business results they need and we are honored to work with them and serve them each and every day." Net sales for the first six months of fiscal 2013 were $24.0 billion, compared with $22.8 billion for the first six months of fiscal 2012. Net income for the first six months of fiscal 2013, on a GAAP basis, was $5.2 billion or $0.98 per share, compared with $4.0 billion or $0.73 per share for the first six months of fiscal 2012. Non-GAAP net income for the first six months of fiscal 2013 was $5.3 billion or $0.99 per share, compared with $4.9 billion or $0.90 per share for the first six months of fiscal 2012. Cash flows from operations were $3.3 billion for the second quarter of fiscal 2013, compared with $2.5 billion for the first quarter of fiscal 2013, and compared with $3.1 billion for the second quarter of fiscal 2012. Cash and cash equivalents and investments were $46.4 billion at the end of the second quarter of fiscal 2013, compared with $45.0 billion at the end of the first quarter of fiscal 2013, and compared with $48.7 billion at the end of fiscal 2012. The combination of cash used for dividends and common stock repurchases under the stock repurchase program totaled approximately $1.2 billion. Cisco repurchased approximately 25 million shares of common stock under the stock repurchase program at an average price of $20.15 per share for an aggregate purchase price of $500 million. As of January 26, 2013, Cisco had repurchased and retired 3.8 billion shares of Cisco common stock at an average price of $20.34 per share for an aggregate purchase price of approximately $76.9 billion since the inception of the stock repurchase program. The remaining authorized amount for stock repurchases under this program is approximately $5.1 billion with no termination date. "We delivered another solid quarter achieving profitable growth which contributes to increasing shareholder value over the long term," stated Frank Calderoni, Cisco executive vice president and chief financial officer. "We are executing consistently, and we remain confident with our financial strategy while capitalizing on strategic investment opportunities to help drive our continued leadership in the industry." Cisco announced and completed the acquisition of privately held Cloupia, Inc., a software company that automates converged data center infrastructure, allowing enterprises and service providers to simplify the deployment and configuration of physical and virtual resources from a single management console. Cisco announced and completed the acquisition of privately held Meraki, Inc., a leader in cloud networking offering midmarket customers easy-to-deploy, on-premise networking solutions that can be centrally managed from the cloud. Cisco announced and completed the acquisition of privately held Cariden Technologies, Inc., a supplier of network planning, design and traffic management solutions for telecommunications service providers. Cisco announced and completed the acquisition of BroadHop, Inc., a provider of next-generation policy control and service management technology for carrier networks worldwide. Cisco announced the investment of $6 million in the venture capital fund Monashees Capital, a leading Brazilian VC focused on Internet companies and online education. Belkin announced its intent to acquire Cisco's Linksys product line. Cisco unveiled its new "Internet of Everything" global integrated marketing campaign, with a message that connecting people, process, data and things will make the network more valuable than ever. Cisco unveiled Videoscape Unity™, its new and expanded Videoscape™ video services delivery platform, empowering service providers and media companies to deliver new intuitive and synchronized multiscreen video experiences. Cisco announced new solutions under the Cisco Unified Access™ umbrella that simplify network design by converging wired and wireless networks. Cisco introduced Cisco StadiumVision® Mobile, a solution that delivers live video to mobile devices to create an entirely new fan experience in sports and entertainment venues. Cisco introduced its advanced Wi-Fi location data analytics platform to help businesses enhance customer experiences and create new monetization opportunities to meet the needs of the growing number of connected consumers. Cisco announced two new connected health offerings, Connected Health solutions and HealthPresence® 2.5, designed to meet the increasing need in healthcare for software and services that help enable efficient, convenient, high-quality patient care, and more collaboration across the healthcare continuum. Cisco announced that Turkiye Is Bankasi (Isbank), the largest bank of Turkey, deployed a Cisco® Borderless Networks and Collaboration infrastructure to enhance business agility, speed product and service development, and better serve its customers. ME Bank in Australia selected a Cisco and NetApp FlexPod® for VMware solution to help transform its information technology and operational excellence functions and to accelerate the speed with which it can introduce new business applications and services to customers. SingTel announced that it is the first service provider in the Asia-Pacific region to globally deploy Multiprotocol Label Switching-Transport Profile (MPLS-TP) technology for its ConnectPlus E-Line service, providing its multinational corporation customers with scalable high-speed connections worldwide. Xerox selected Cisco Unified Computing System™ to deliver its cloud-based global managed print services. Cisco announced that Eastlink, a leading telecommunications service provider in Canada, is using Cisco Videoscape™ to power its new mobile video platform, Eastlink To Go, designed to deliver new consumer experiences anytime, anywhere. Cisco announced that Telefonica Global Solutions, part of the Telefonica Group, a leading global provider of telecommunication services for fixed and mobile carriers, ISPs and content providers, selected Cisco for its enhanced Internet Protocol Next-Generation Network. Q2 FY2013 conference call to discuss Cisco's results along with its business outlook will be held on Wednesday, February 13, 2013 at 1:30 p.m. Pacific Time. Conference call number is 1-888-848-6507 (United States) or 1-212-519-0847 (international). Conference call replay will be available from 4:30 p.m. Pacific Time, February 13, 2013 to 4:30 p.m. Pacific Time, February 20, 2013 at 1-866-484-6427 (United States) or 1-203-369-1601 (international). The replay also will be available via webcast from February 13, 2013 through April 19, 2013 on the Cisco Investor Relations website at http://investor.cisco.com. Additional information regarding Cisco's financials, as well as a webcast of the conference call with visuals designed to guide participants through the call, will be available at 1:30 p.m. Pacific Time, February 13, 2013. Text of the conference call's prepared remarks will be available within 24 hours of completion of the call. The webcast will include both the prepared remarks and the question-and-answer session. This information, along with GAAP reconciliation information, will be available on the Cisco Investor Relations website at http://investor.cisco.com. This release may be deemed to contain forward-looking statements, which are subject to the safe harbor provisions of the Private Securities Litigation Reform Act of 1995. These forward-looking statements include, among other things, statements regarding future events (such as statements regarding innovation, value to shareholders, the goal of becoming the #1 IT company, the future of the intelligent network, Cisco's ability to help customers deliver business results, strategic investment opportunities and industry leadership) and the future financial performance of Cisco that involve risks and uncertainties. Readers are cautioned that these forward-looking statements are only predictions and may differ materially from actual future events or results due to a variety of factors, including: business and economic conditions and growth trends in the networking industry, our customer markets and various geographic regions; global economic conditions and uncertainties in the geopolitical environment; overall information technology spending; the growth and evolution of the Internet and levels of capital spending on Internet-based systems; variations in customer demand for products and services, including sales to the service provider market and other customer markets; the return on our investments in certain priorities, including our foundational priorities, and in certain geographical locations; the timing of orders and manufacturing and customer lead times; changes in customer order patterns or customer mix; insufficient, excess or obsolete inventory; variability of component costs; variations in sales channels, product costs or mix of products sold; our ability to successfully acquire businesses and technologies and to successfully integrate and operate these acquired businesses and technologies; our ability to achieve expected benefits of our partnerships; increased competition in our product and service markets, including the data center; dependence on the introduction and market acceptance of new product offerings and standards; rapid technological and market change; manufacturing and sourcing risks; product defects and returns; litigation involving patents, intellectual property, antitrust, shareholder and other matters, and governmental investigations; natural catastrophic events; a pandemic or epidemic; our ability to achieve the benefits anticipated from our investments in sales, engineering, service, marketing and manufacturing activities; our ability to recruit and retain key personnel; our ability to manage financial risk, and to manage expenses during economic downturns; risks related to the global nature of our operations, including our operations in emerging markets; currency fluctuations and other international factors; changes in provision for income taxes, including changes in tax laws and regulations or adverse outcomes resulting from examinations of our income tax returns; potential volatility in operating results; and other factors listed in Cisco's most recent reports on Forms 10-Q and 10-K filed on November 20, 2012 and September 12, 2012, respectively. The financial information contained in this release should be read in conjunction with the consolidated financial statements and notes thereto included in Cisco's most recent reports on Forms 10-Q and 10-K as each may be amended from time to time. Cisco's results of operations for the three and six months ended January 26, 2013 are not necessarily indicative of Cisco's operating results for any future periods. Any projections in this release are based on limited information currently available to Cisco, which is subject to change. Although any such projections and the factors influencing them will likely change, Cisco will not necessarily update the information, since Cisco will only provide guidance at certain points during the year. Such information speaks only as of the date of this release. Copyright © 2013 Cisco and/or its affiliates. All rights reserved. Cisco, the Cisco logo, Cisco Unified Access, Cisco Unified Computing System, Cisco StadiumVison, Cisco Videoscape, Cisco Videoscape Unity, HealthPresence, and Videoscape are trademarks or registered trademarks of Cisco and/or its affiliates in the U.S. and other countries. To view a list of Cisco trademarks, go to: www.cisco.com/go/trademarks. Third party trademarks mentioned in this document are the property of their respective owners. The use of the word partner does not imply a partnership relationship between Cisco and any other company. This document is Cisco Public Information. (1) In the second quarter of fiscal 2013, the American Taxpayer Relief Act of 2012 reinstated the U.S. federal R&D tax credit, retroactive to January 1, 2012. GAAP net income for the second quarter and first six months of fiscal 2013 included a $132 million tax benefit as a result. Non-GAAP net income for the second quarter and first six months of fiscal 2013 excluded the $72 million tax benefit related to fiscal 2012 R&D expenses. (2) In the second quarter of fiscal 2013, the Internal Revenue Service and Cisco settled all outstanding items related to Cisco's federal income tax returns for the fiscal years ended July 27, 2002 through July 28, 2007. As a result of the settlement, Cisco recorded a net tax benefit of $794 million, which included related interest.